Diets4Dogs - Milk Thistle Liver Support (90 Capsules) provides a comprehensive formula designed to help and to promote normal liver function in cats and dogs. The product is easily administered alongside normal feeding, and capsules can be either given whole, or broken open and mixed in with food. 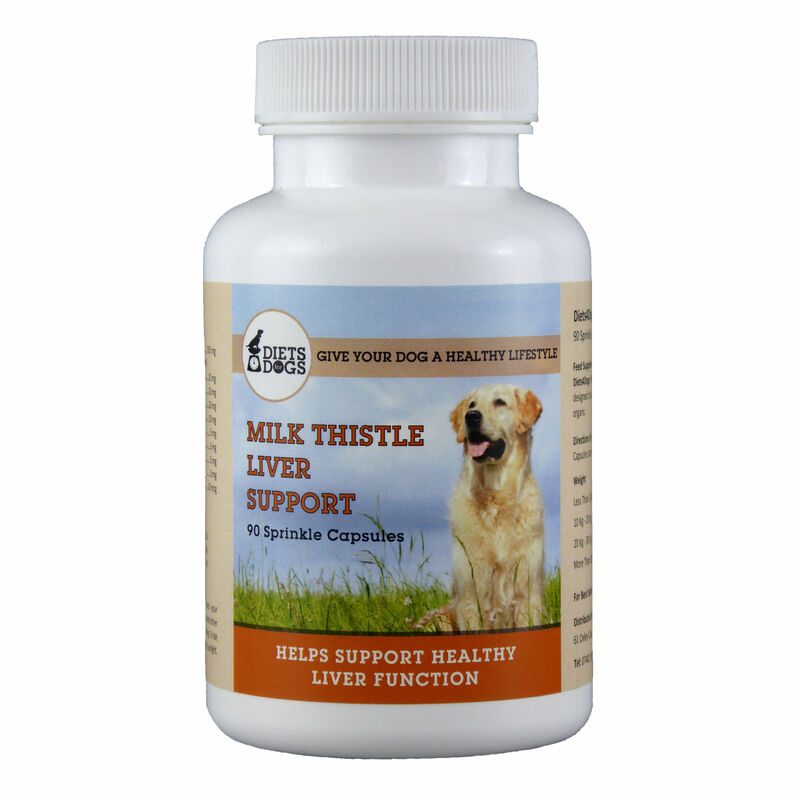 Diets4Dogs - Milk Thistle Liver Support (90 Capsules) provides a formula containing B-Vitamin complex, antioxidants and lecithin, as well as Silymarin and Silybinin provided through a standardised extract of milk thistle. The product has numerous clinical applications and provides an affordable solution for both short and long-term management cases. Capsules should be opened and contents mixed in with food as necessary. AdviceFor Animal Use Only. Please contact your veterinarian immediately in the case of accidental overdose. Do not use if tamper-evident seal is broken or missing. Keep out of reach of children and other animals.To be stored away from direct sunlight in a cool, dry place between 10-25oC.